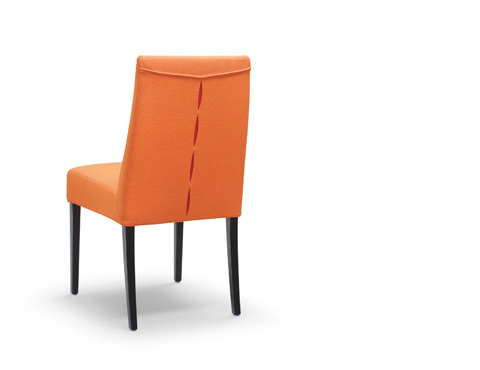 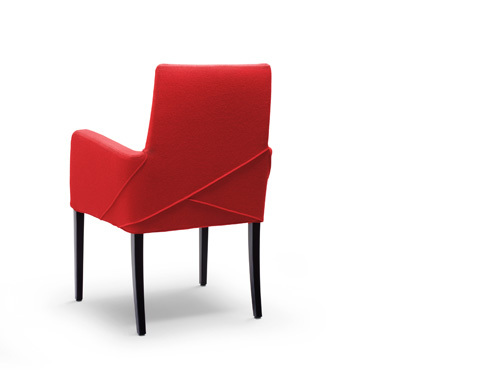 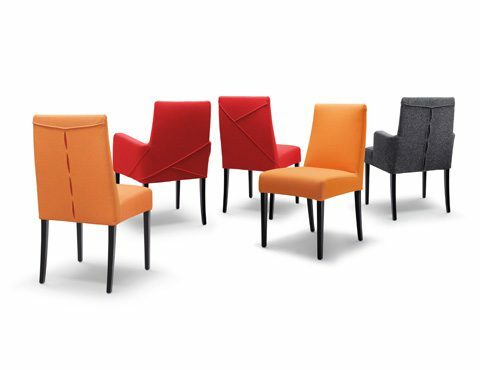 The development of this dining room chair began with the idea of the removable chair cover. 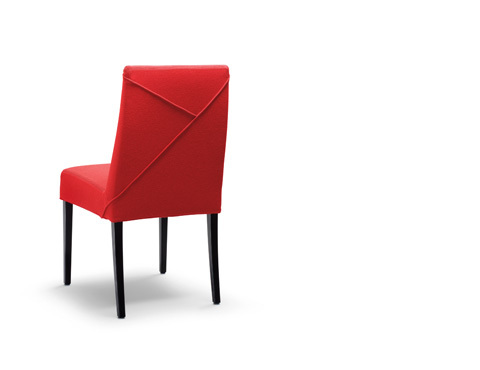 While many standard chair covers have all the grace of an ill-fitting dress, we set out to create a perfectly tailored silhouette with details appropriated from haute couture on their back sides. 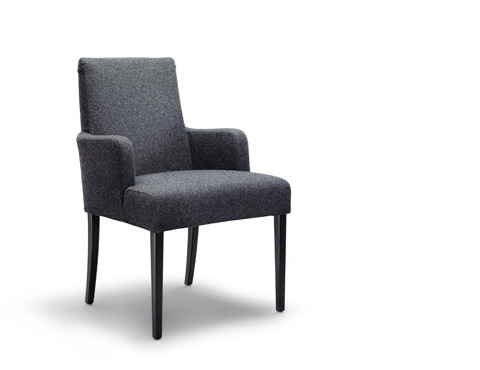 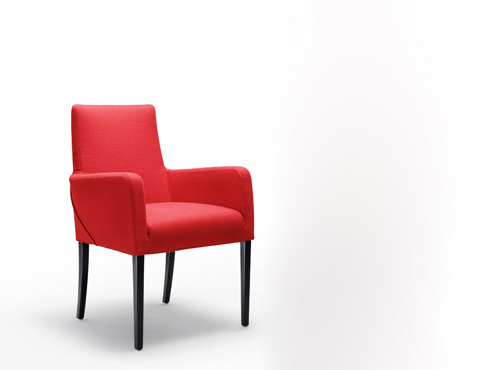 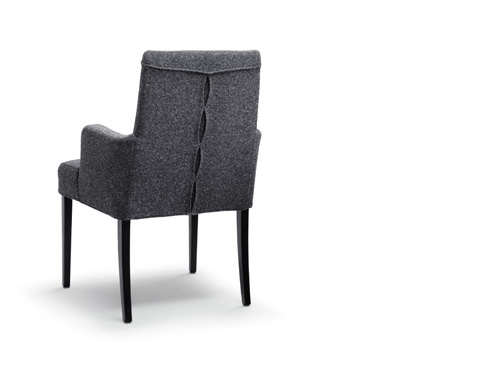 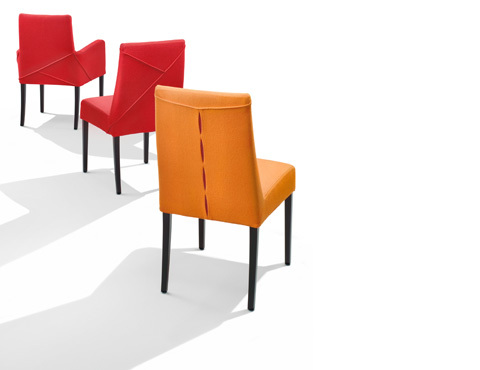 Eve is produced either without armrests, or with short or full-length armrests.